This is the fourth and final episode where we examine the history and current day beliefs of the group called the Anabaptists. Kevin Wagler a former member of the Anabaptist group known as the Amish joins again as a guest on the show to discuss the topic. Jason the host of the show is also a former conservative Mennonite. 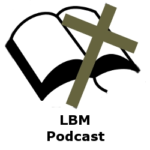 In this episode Jason and Kevin discuss a series of 16 questions to ask Anabaptists. They end the show with a discussion on a book by Dietrich Philips, an early Anabaptist, a contemporary and colleague of Menno Simons. They look at what he wrote pertaining to the Celestial Flesh Heresy and examine it in the light of Scripture. What is your view on the Celestial Flesh doctrine of Menno Simons and the other early Anabaptists? Is war and self-defense evil and if so did God command unrighteousness in the Old Testament? What is your view on original sin? Does original sin have any impact on the will of man? When an individual places their faith and trust in Christ and repents of their sins are all their sins expiated (past and future) or are only their past sins forgiven? Does justification result in a temporary peace (dependant on human actions) or does it result in a permanent peace with God (Rom 5:1)? Does justification increase before God based upon the performance/actions of the individual? Does a true born again (regenerate) believer have (possess) eternal/everlasting life or is eternal life dependant on their actions? If a true born again (regenerate) believer can lose eternal life what must he do to lose eternal life? What is your view on regeneration (new birth)? What impact does the new birth (regeneration) have on an individual? How is he changed? What does the Bible mean by we are dead in sin (Eph 2:1) and a slave to sin (Jn 8:34)? What does the atonement of Jesus Christ accomplish? Does God simply observe human history or does he determine it? This is the second episode where we examine the history and current day beliefs of the group called the Anabaptists. Kevin Wagler a former member of the Anabaptist group known as the Amish joins as a guest on the show to discuss the topic. Jason the host of the show is also a former conservative Mennonite. We discuss the Anabaptist’s position on soteriology, the history of the movement and the Celestial Flesh view. This is a series that will continue for 1 or 2 more episodes. In this episode we examine the history and current day beliefs of the group called the Anabaptists. Kevin Wagler a former member of the Anabaptist group known as the Amish joins as a guest on the show to discuss the topic. Jason the host of the show is also a former conservative Mennonite. We discuss the Anabaptist’s position on soteriology, some of their confessions and the history of the movement. This is a series that will continue for 3 or 4 episodes.